Or come for both! Campers registered for both will stay with counselors for the two days between camps (room, meals, and supervised activities included). Get fast or stay at home! We are once again ready to rip your legs off and elevate your game. We’ll train your brain too—with elite level road tactics and race proven secrets to success. For 2019 we’ve added a mountain bike camp where we’ll teach skills and maneuvers with plenty of mileage to keep the stoke level high. Visit our FACEBOOK PAGE to learn more about last year’s camp and stay updated on this year’s developments. WHERE: Camp will be based at Mars Hill University’s beautiful campus nestled in the heart of the Blue Ridge Mountains. The college provides immediate access to an amazing network of lightly traveled roads, including extended climbs, rolling terrain, and flat/fast rides along the river. Nearby mountain biking trails include Kolo Bike Park, Bent Creek, DuPont, and Pisgah. Situated in Madison County (“The Jewel of the Blue Ridge”) Mars Hill’s neighbors include the Blue Ridge Parkway, Mt. Mitchell State Park, Pisgah National Forest, the Appalachian Trail, and the French Broad River. Mars Hill is just 18 miles north of vibrant Asheville, NC. WHEN: July 7-12 Drop Off: Sunday, July 7th 1-2pm. Pick Up: Friday, July 12th at 11am. WHO: Mountain bike camp will be for male and female junior riders with significant mountain biking experience on at least green and blue level trails. If you think you’re a good fit, then please fill out and SUBMIT THIS APPLICATION FIRST before you REGISTER HERE at USA Cycling. We’ll review and get back to you in the order received, letting you know whether you’ve been accepted and are cleared to register. All campers must have a 2019 USA Cycling license. WHAT: Campers will learn essential mountain bike skills and maneuvers, so that when we hit the trails each day for some mileage we’ll have plenty of opportunity to progress them. You’ll leave camp a stronger and more efficient mountain biker. We’ll keep the stoke level high by riding some of the best trail systems in Western North Carolina. We’ll utilize trails at places like Kolo Bike Park, Bent Creek, DuPont, and Pisgah. Camp staff will include PMBI certified instructors who are also certified in Wilderness First Aid. This week of camp is timed to be great preparation for those going to Mountain Bike Nationals. COST: Includes lodging, three meals per day, and snacks/drinks out on the trail. WHEN: July 14-19 Drop Off: Sunday, July 14th 1-2pm. Pick Up: Friday, July 19th at 11am. WHO: Aspiring male and female road racers ages 10-18. Cyclists will be grouped based on experience, ability, and skill level. All cyclists must have prior group riding experience (racing isn’t required) and a current USA Cycling license. Parents are welcome. COST: Includes lodging, three meals per day, and ride snacks/drink. LODGING and LOCATION (both camps): Air conditioned rooms in Dogwood Hall. Directions to Camp: Our location is Dogwood Hall on the campus of Mars Hill University. From I-26 take exit 11. Go left at the stop sign or stoplight. Climb the hill to the first light at Main Street. Go through light and descend through campus, turning left onto Dormitory Rd. Take your first right and follow it around to the two-story brick building set at the base of the hill. • Riding in the beautiful Western North Carolina mountains. • All meals and training fuel provided. • Led by USAC and PMBIA certified coaches, national champions, and professionals. Head are coaches certified in Wilderness First Aid. STAFF and PRESENTERS: A variety of elite coaches, pro riders, and industry experts will lend their expertise throughout camp. Jonny Clarke is a long term professional road cyclist and member of the United Healthcare Professional Cycling Team. He’s competed at the highest level domestically and at some of the world’s top ranked stage races. Fresh off the Tour of California, he’ll share his insight in what it’s like to race in the big leagues. Jacob McGahey: The operations manager at Industry Nine Componentry will give a talk titled “Speed Through Technology.” Jacob shares the secrets on how to get the most out of your fitness and tactics by choosing the right equipment for time trials, road races, and criteriums. Reid Beloni: A senior level coach at Carmichael Training Systems, Reid will talk about everyday and race day nutrition and fueling. Reid holds a BS in Human Nutrition, Foods, and Exercise from Virginia Tech, as well as an MS in Exercise Science from Appalachian State. He’s also a USAC certified coach. Reid is a former collegiate racer who continues to excel as a category 1 racer. He’ll be available all week as one of camp’s co-directors. Nina Laughlin: An expert coach at Carmichael Training Systems, Nina also races professionally on the road and in cyclocross. She also had a successful collegiate racing career while earning a BS in Exercise Science from Appalachian State. Nina is also a USAC certified coach. 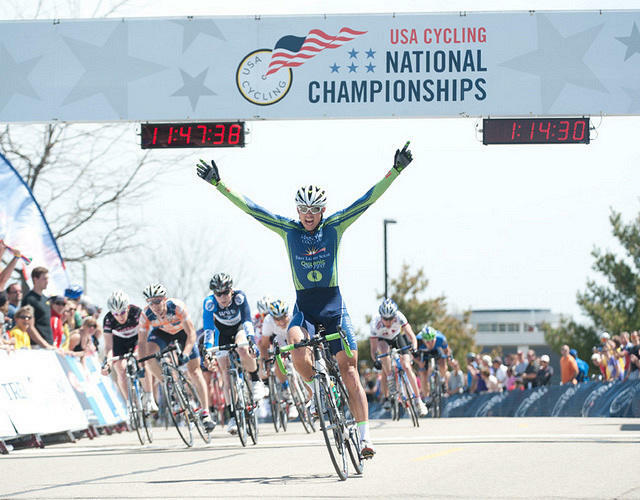 Hugh Moran: The former coach of MHU Cycling will sit down to discuss the prospects of collegiate cycling, including scholarships, athlete development, and how to find the best fit for your collegiate experience. As a former pro on the road and a USAC certified coach, he’ll be available all week to discuss everything from tactics to training with a power meter. Alexandra Christofalos: Former member of MHU Cycling Team and pro road racer. Grayson Wickel: MHU cycling freshman, longtime successful junior racer. Brad Huff: Road professional for Rally. Former pro national criterium champion. 4:00pm 1hr easy ride. Course Map. 8:00pm Prep bikes for tomorrow. Relax. Games. 8:00pm Relax. Review power files as needed. 10:45pm Arrive at base of 151, Mt Pisgah, lunch at top, descend. 1:30pm Mellowdrome: pacelines, attacking, bridging, sprinting, TT efforts, mock racing. 11:00am Campers picked up by parents. – Road Camp: Road bike in clean and proper working condition with junior gearing and at least 39×28 or similar ratio for climbing. You’ll need it! – MTB Camp: Mountain bikes need to be of a good quality. They need to fit the rider, be mechanically sound and tuned, and have a decent front shock. Disc brakes are highly recommended. Wheels need to be 26″ or larger. We wouldn’t consider the bikes sold at a big box store like Wal-Mart to be of good quality, for example. – All camp paperwork/waivers/insurance completed by both riders and parents. – Pillows and linens or sleeping bag. – Notebook/pen for taking notes during presentations. – Riding clothes (3-4 kits), including jerseys, shorts, socks, gloves, glasses, rain cape, vest, arm warmers, knee warmers, and whatever else you might deem appropriate. It’s summer but extreme weather and temperature changes can be expected atop these mountains. – Casual clothes for off the bike activities. – Spare tire/tubes, seat pack (hydration backpack for MTB Camp), pump or inflators, multi-tool. – Toiletry kit including soap, shampoo, toothbrush, toothpaste, deodorant, and any medications. – Dirty clothes bag, soap for laundry. Laundry machines are free. – We will plenty of snacks, bars, food, water. If you want something particular be sure to bring it. – Money for extra snacks, souvenirs, etc.